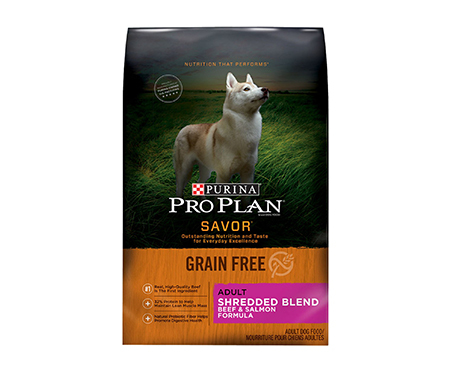 Give your pal the grain-free nutrition that’s performance driven with the Purina Pro Plan Savor Adult Shredded Blend Beef & Salmon Formula Grain-Free Dog Food. 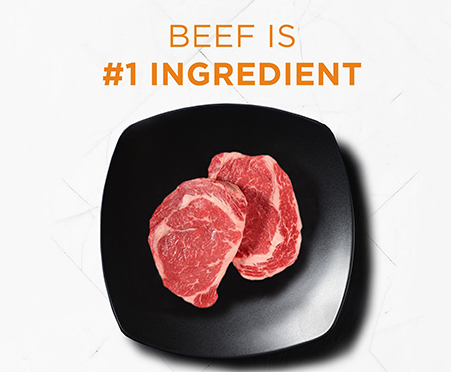 Made with real beef as the first ingredient, plus chicken and salmon, it delivers a healthy dose of high-quality protein to support lean muscle. 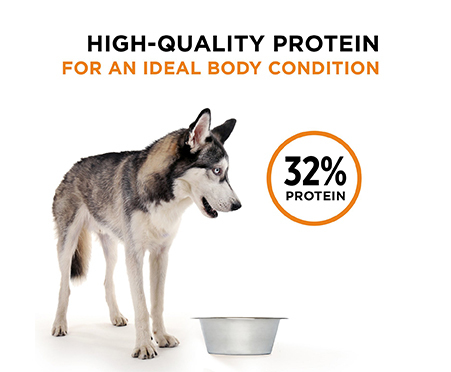 Formulated with optimum levels of protein and fat, it helps your pal maintain an ideal body condition, and includes alternative sources of energy-supporting carbohydrates with no grains, gluten, or soy. It provides vitamin A and linoleic acid, an omega-6 fatty acid that helps maintain a healthy skin and coat, as well as natural prebiotic fiber to help promote digestive health. 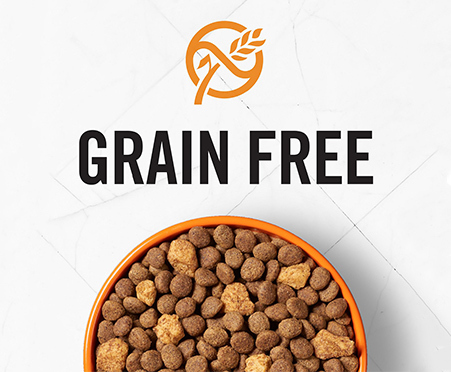 Your pal will love the meaty flavor of the kibble and the nuggets of shredded beef goodness, with absolutely no artificial colors, flavors, preservatives or poultry by-product meal. Made with real beef as the first ingredient plus chicken and salmon for high-quality protein with no grains, gluten or soy. Formulated with optimal levels of protein and fat, and grain-free carbohydrate sources. With vitamin A and linoleic acid, an omega-6 fatty acid known to support skin and coat health. Includes natural prebiotic fibers sourced from chicory root to support digestive health. Meaty kibble with tasty nuggets made in the USA with no artificial colors, flavors, preservatives or by-product meals.